The video for Deep In The Woods is based on the 1962 Shirley Jackson book "We Have Always Lived In The Castle." 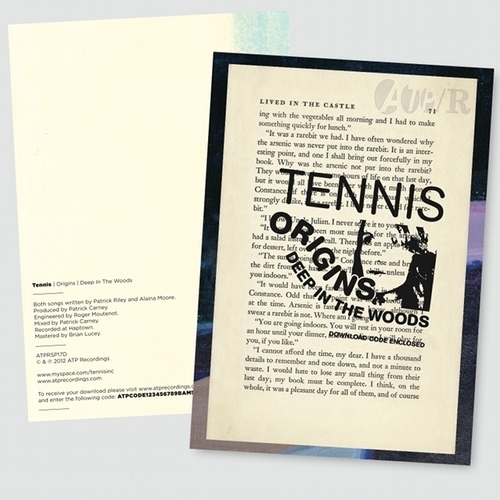 We will take 1 page of the original edition of the book - it will be embossed with an ATP/R stamp, rubber stamped with inked Tennis artwork, and will include a digital download code for both tracks. Each page will be presented in a clear comic book bag with a stiff backing page. Limited to 214 copies - all signed by the band.